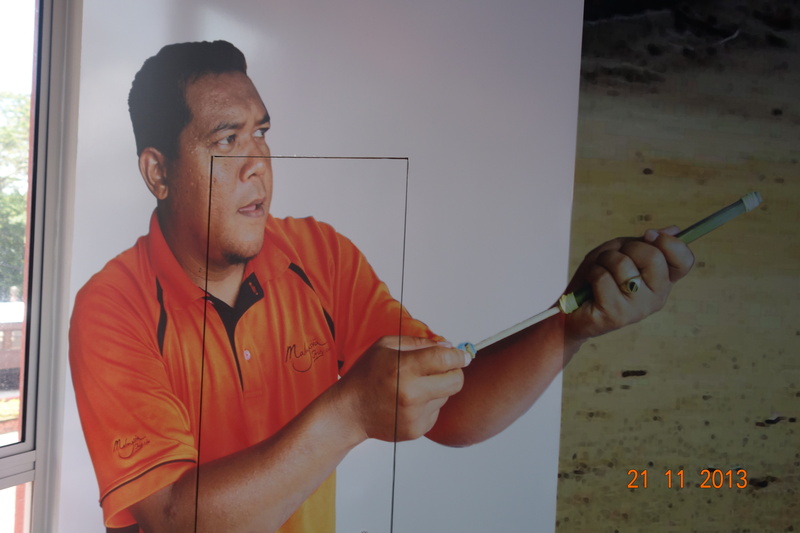 Someone has only to mention 466-B Ayer Itam Road, Penang, the house where I was born, and I will experience a rush of memories : Idaham, my eldest brother, vigorously beating eggs with a fork and scrambling them with sliced onion and chili for a most appetizing breakfast. Badlil drying dehusked coconut shells and mangosteen skins in the sun to supplement firewood for cooking. My big sister Zurina, sweeping, scrubbing, straightening up the house or sewing pretty dresses for my kid sister Faridah and I. Mustapha, the gregarious one, dressing up to the nines for a night out with his friends. Abu was a tease. When I was yet a wee girl, I unintentionally swallowed a sizeable mangosteen seed. He looked at me gravely, shook his head and said a mangosteen tree would most surely sprout from my stomach. I was terrified and subjected my stomach to the most careful scrutiny. After several weeks had passed I was hugely relieved to find nothing shooting forth from it. Mother’s only brother, Mamak Hassan, had an endearing personality. An avid small game hunter, he thrilled me with stories about his jungle exploits. He told me about his beloved pet tiger cub which would follow him companionably all over his house. He always wore thick leather gloves when playing with it. Clever, that, I thought. I don’t recall what eventually happened to it. I remember he brought Mother a mouse deer to be skinned and was scolded for what she described as his senseless killing of helpless little animals. But she smiled at his proposition : that she consider marrying one of her sons to the lovely daughter of his dear friend, a senior government official. It would be a fine match he assured her. He pointed out that Father and Mother were prominent members of the community. 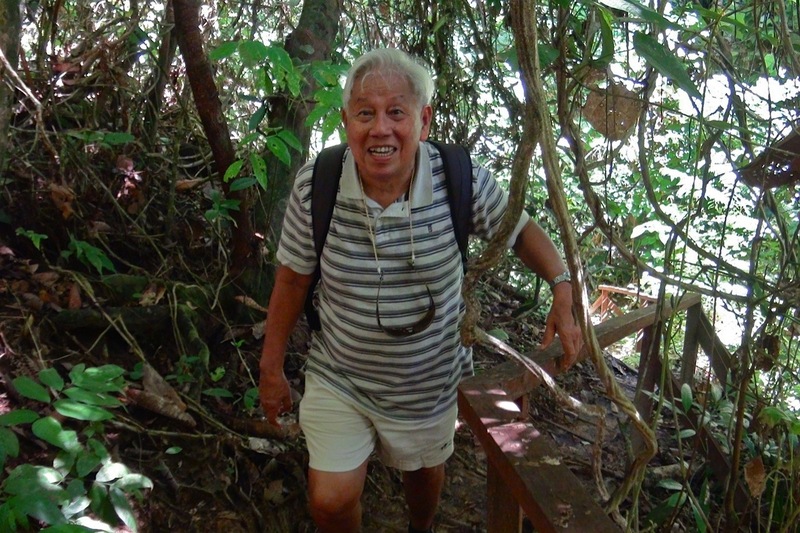 Father had distinguished himself as an English teacher at the Penang Free school, the country’s premier school. And were they not invited each year to attend the Penang Governor’s birthday party? Although Mother’s sons were all of marriageable age, Idaham and Mustapha had made plans to further their studies in England. Abu had secured a place at the University of Singapore. Mother decided that Badlil, who had a well paid job with an international company, Cable and Wireless in Singapore, was the perfect candidate. Mamak Hassan arranged a meeting with his friend. My parents were most warmly received. And they were won over by the grace and beauty of his friend’s daughter. Mamak Hassan had chosen well indeed. When a date was set for the wedding, Mother presented the bride-to-be with an exquisite gold necklace. Following Badlil’s return from Singapore preparations for the wedding were finalized. The bridal bed with its tasseled beige bedcover sparkled with beads and sequins. As did the matching pillows and cushions. Carpets were rolled out and laid in the living room at one end of which stood the elaborately decorated bridal dais. Tables and chairs were arranged under a large tent in the garden and a wide variety of food ordered for the wedding dinner. My parents had personally called upon all their guests to invite them for the wedding. Two days before the wedding I woke up to the sound of people rushing around and talking in raised voices. I looked for Mother and found her weeping inconsolably. It broke my heart to see her tear-stained face. Father appeared sullen and angry. I asked Zurina what had happened and in a pained voice she told me Badlil, the bridegroom-to-be, had disappeared and was nowhere to be found. Mustapha had raised what he called the red alert. We had a major crisis on our hands. There was no way we could hush up what had happened. The wedding had to be called off and all arrangements made had to be cancelled. Though deeply distraught, Mother was able to pull herself together. With Father and Mamak Hassan in tow she hastened to disclose what had happened to the parents of the bride-to-be, expressed her remorse and regret and sought their forgiveness. Then she faced each one of her invited guests and came away, at the end of it all, with her dignity preserved. A contrite Badlil returned after a week. He had grievously wronged wronged his parents but didn’t foresee the extent of their wrath. The punishment he received was severe. He was most sternly rebuked and then driven out of the house. 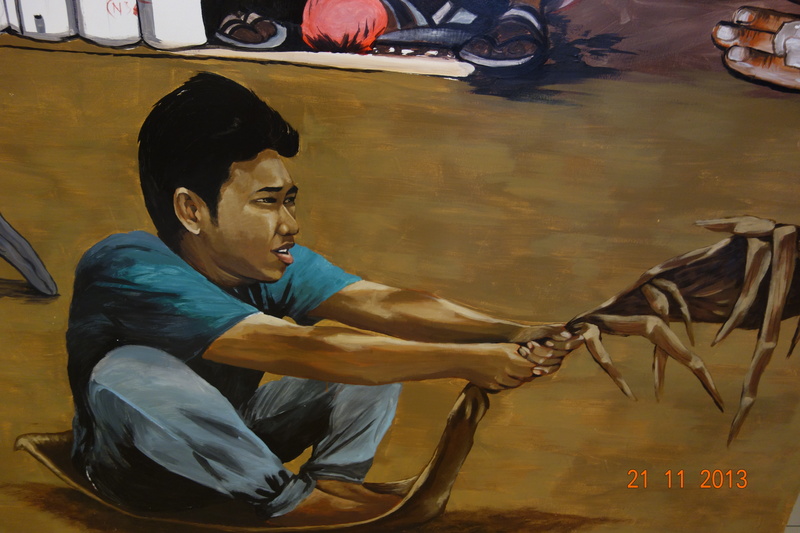 Samad was ten when he left Padang Sebang to live with his father’s new family in Jasin. He had just lost his beloved mother. An easy, carefree life awaited him. No more rising at dawn to pedal curry puffs made by his mother. No strict grandfather to cane or tie him to a tree for the slightest offense. And no scary body floating in a well. He spent his time after school happily playing with the other boys of the village. The boys were left to their own devices. Their playground was Nature and they had a prodigious capacity for fun and games. They raced around on palm fronds, sat astride buffaloes, climbed trees to eat rambutans and guavas, hit squirrels, which devoured their fruits, with a slingshot, and flew kites they made using bamboo strips and kite paper. They attached their kites to the popular Anchor brand string. When the spirit moved them, they glued powdered glass to their string. 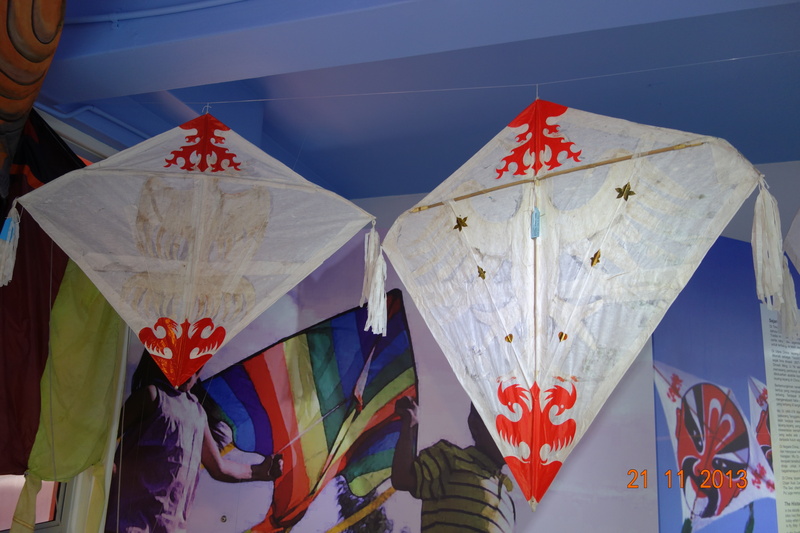 Many an opponent’s kite was thus mercilessly grounded. They amassed colorful rubber bands to play a game in which they targeted other players’ rubber bands to win, thus enhancing their collection. 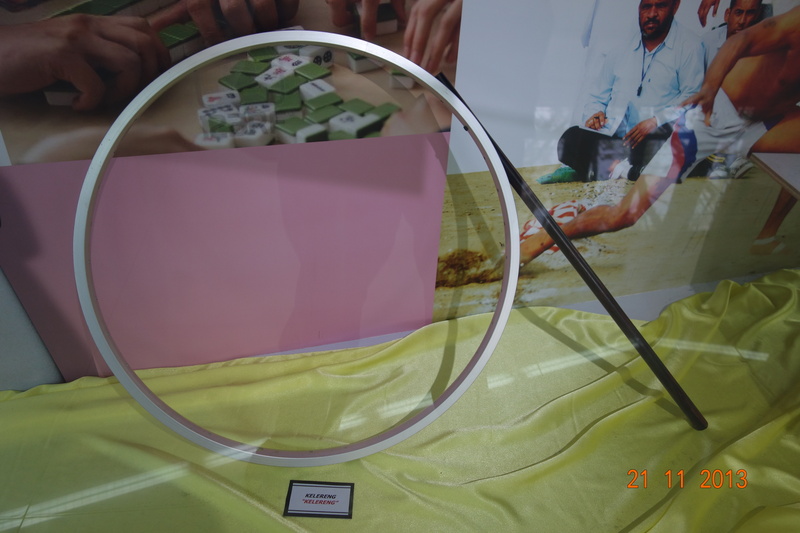 “Tick-Tock” was slightly akin to Rounders, played, not with a bat and ball, but with two sticks, the shorter of which is driven firmly into the ground. 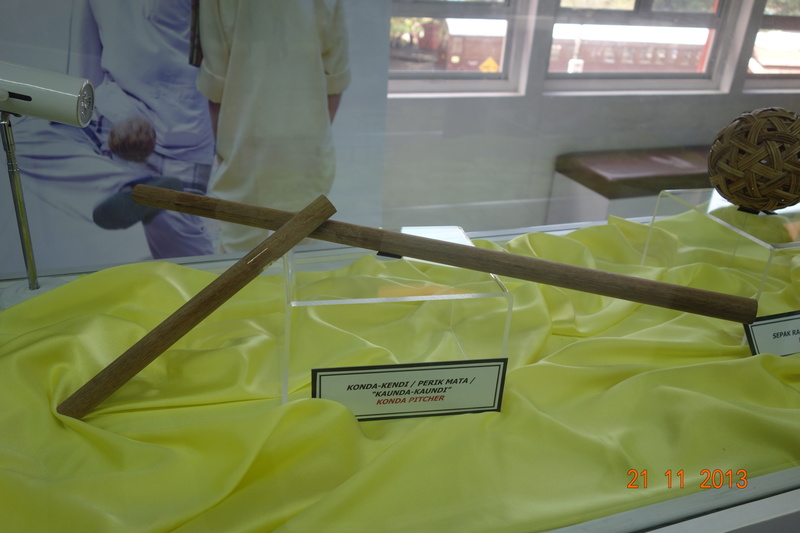 Samad became adept at hitting it with the longer stick causing it to spiral upwards. He would then hit it hard and send it flying into the distance enabling him to touch “base” several times. A favourite game that invariably left them out of breath, required using a stick to vigorously trundle a bicycle wheel, bereft of spokes and rubber tyre, for long distances over the fields. Boys wouldn’t be boys without resorting to a game that was an approximation of war. They shot each other using bamboo guns. Samad swiftly learned the trick of carefully selecting the correct size of seed from a tree, the name of which now escapes him. When the gun is shot, the seed, compressed by the pumping of the gun handle, will pop before shooting out and hitting the opponent. It was always with great joy that Samad splashed about in the cool, clear waters of the Jasin river. His dog-stroke improved and he was gradually able to move faster and cover longer distances. He was happily paddling along one day when a powerful current swept him away, taking him completely by surprise. He struggled violently to stay afloat but found himself hurtling down the river at great speed. Lungs bursting, he gasped for air, swallowed a ton of water, and flailed his arms wildly, but to no avail. Just when he thought all was over, he was hurled against the river bank. He threw out his hands, grasped an overhanging plant and clung to it with all his might. He yelled out in pain when a swarm of fire ants bit his hands but he gritted his teeth and held on. He regained his breath and slowly dragged himself up the bank, heaving a huge sigh of relief to find he was alive, and safe! Not long after his near-drowning experience, back to the river he went. It was as if he couldn’t stay away from it. He learned to dive into the water from a Nipah palm frond, just like his friends. Nipah palm trees grew in abundance along the river banks. Samad would clamber up a tree, stand firmly on a frond, and leap into the river with a big splash. Soon he was having the time of his life, making spectacular dives and impressing his friends. Until one unfortunate day when he slipped and tumbled down, severely scratching his back on the sharp leaves of a low lying frond. He returned home, got out of his wet clothes, wrapped himself with a towel and was painfully making his way to the bathroom when his father stopped him to ask why he was walking in a most peculiar manner. He was forced to lower his towel. His father’s face turned red when he saw the gash on Samad’s back and, after letting loose a vituperative tirade about boys who behaved irresponsibly, got out his cane and whacked Samad with it. So Samad went from the frying pan into the fire, or as the Malays would say it, “jatuh tangga, di-timpa tangga” – you fall off a ladder and it lands on you. From that day on, with his father’s words ringing in his ears, his days were decidedly less wild and carefree. My dear mother was small and petite. Before leaving for Perlis, she put on several loose kebaya tops and wrapped herself with layers of sarong sewn from “batek chop”, white cloth imprinted with simple black and white batek designs. In an instant she became fat and pudgy. I had a fit of giggling. Hee! Hee! I rolled on the floor, then ran to give her a hug but my hands could barely encircle her legs, wee girl that I was then. My 13 year old brother Mustapha, her travelling companion, had similarly grown fat from wearing many layers of “batek chop”. I ran round the house chanting, Tubby Mustapha! Tubby Mustapha! My mother had accumulated “batek chop” from several suppliers in her village. For her trip, folded pieces of the batek were stashed in bags filled with clothes, and lay concealed beneath food in large tiffin carriers. 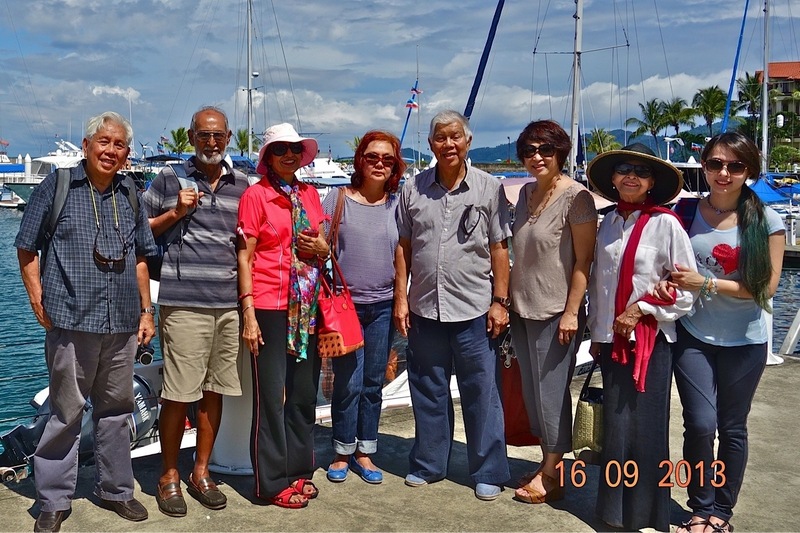 They caught the ferry from Penang to Prai on the mainland before hopping onto the train to Perlis, at the northern tip of the Malay Peninsula. My mother’s train permit stated she was visiting a sick relative. At Sg. Petani everyone disembarked. Permits were scrutinised and bags examined by customs officials. My mother heaved a big sigh of relief. Her batek lay undetected. The train then chugged to its final destination, the royal town of Arau (where the Raja of Perlis lived), arriving there well after nightfall. As soon as the train lurched to a stop, my mother and brother, who were in the last carriage, grabbed their belongings, opened the door on the side away from the prying eyes of the customs people and Japanese soldiers, and leapt down onto the undergrowth below. Moments later, my mother’s friend of many years, Mak Tuan, and her sons, met them and led them stealthily past the railway line to the winding kampong road and eventually to her house. Everyone then breathed easy. 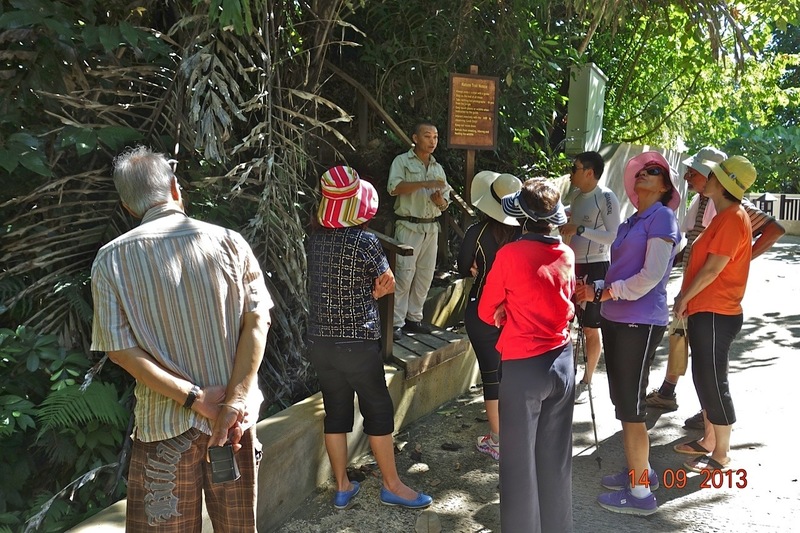 Mak Tuan had many contacts with people north of the border, in Thailand. She knew how to cut the best deals so my mother could earn good money for her batek and herself a modest commission. The serious shortage of food and money during the Japanese occupation had driven my mother to do what she did, so she could help my father, who worked at the Police barracks for a pittance, feed the family. If smuggling batek into Perlis was fraught with risk, taking the big, bulky Japanese money out under the nose of the authorities posed an even bigger danger. So my mother devised several methods of concealment. She hid money in Mustapha’s canvas shoes, his wide belt with its many compartments, her own belt, beneath the food in the tiffin carriers and below the rice, eggs and dried fish she filled her bags with. But her smartest move was to enclose money between two mats sewn together, which she rolled up and tucked under her arm. A year passed before she took the bold step of acquiring an acre of padi land in Perlis which gave her a more plausible reason for visiting Perlis than tending to sick relatives. It yielded additional money, and also rice whenever the padi was harvested. My eldest brother, 17 year old Idaham, occasionally travelled to Perlis with my mother. One night she returned home without him. Choking back her tears she told us he’d been detained. Customs had found money hidden beneath the rice, eggs, and dried fish in his bag. We were all in shock. Where was he? What would they do to him? Would they ever release him? Questions like these plagued our minds through the night while my mother wept. The following morning my father hastened to Prai. Following tough negotiations, money exchanged hands, an understanding was reached and Idaham was freed. My mother made a decision. She was no longer willing to put the lives of her sons, and her own life, in danger. Sadly, she sold her padi land and ceased her smuggling activities. Dinner time at Kampong Bahru, one of my dearest memories. All seven of us, gathered at our dining table with our parents. While we did full justice to the food my mother had prepared, my father, the English teacher, would talk to us about Shakespeare, a most remarkable story-teller, so he said. And he would regale us with Shakespeare’s tales of revenge and intrigue, jealousy, murderous kings and queens, and love and romance. And I would listen to him enthralled. I’d startle the rabbits in the hutch with, “To be or not to be: that is the question.” Even the goats in the pen were not spared. “What’s in a name? That which we call a rose by any other name would smell as sweet”. And I thought they bleated in agreement! I would dream about the gentlemen of Verona, the merchant who lived in Venice, and of the merry wives of Windsor, as I continued to be bewitched by this man who lived more than 400 years ago and told such remarkable tales. My love of Shakespeare increased with the years. That was one of my dear father’s greatest gifts to me. On the day my father’s gleaming, black Morris 8, number plated P 3328 arrived, we were filled with a frenzy of excitement. As we rushed out of the house to examine it, I caught the smile on my mother’s face. She and my two sisters and I got in the car and we were soon off on a long, smooth ride to Penang Road. My father stopped at Kek Seng for our favourite ice-cream. It was decidedly our happiest day. My mother loved our rides at night best, when her chores were done and she could relax and enjoy the bright lights of George Town. And cream puffs at the Tip-Top Cafe at Pulau Tikus. On other nights we would dine at our preferred restaurants, Meera and Hameedia, on Campbell Road. They served great Indian bread, “roti canai”, and “murtabak”, bursting with beef and onion. On bright, moonlit nights, well after dinner was over, my mother would spread a large “tikar” or mat on our front lawn. There we would all gather to chat and laugh and listen as my brother Mustapha strummed his guitar. And we would munch on rambutans, mangosteens and guavas, all grown in our backyard. But there was nothing to match the durian. When it was in season, my father would buy several of the fruit, cut them open, deftly avoiding their vicious thorns, and we would have a feast. We’d dig our fingers in and pull out sections of the fruit. What bliss to sink our teeth into its creamy flesh. After I was done, I’d snuggle up to my mother and place my head on her lap. And when she gently rubbed my forehead and then moved her fingers to caress my head, I could feel her sweet love flowing into me and I would be filled with a wondrous contentment. Samad was seven when his mother decided he was ready to learn how to read the Quran. She enrolled him at the Surau, a place for prayer and worship, near their house in the village of Padang Sebang in Melaka. Each day after school was over, Samad and his friends would amble along to the Surau, about a kilometer away from his house. To his little feet it felt very far away. Next to the Surau was a well. Before entering the Surau, they would lower a pail tied with a string into the well to scoop water to wash their hands and feet. One day they saw a crowd of people at the well talking and gesturing excitedly. They peeped into it and recoiled in terror. Two feet with very white soles protruded out of the water. Who was in the well? How did he get in there? Did he jump in? Did someone push him in? Was there a fight? These and other questions raced through their minds but remained unanswered. No ablutions were had that day. No Quran class either. I was curious to find out if the Surau was still there. When I followed Samad on his “trip down memory lane”, the Surau was our first stop. I was sad to see its broken walls and roof. It had been long neglected and the area around it was overgrown with plants. The well with its gruesome past was nowhere to be seen. 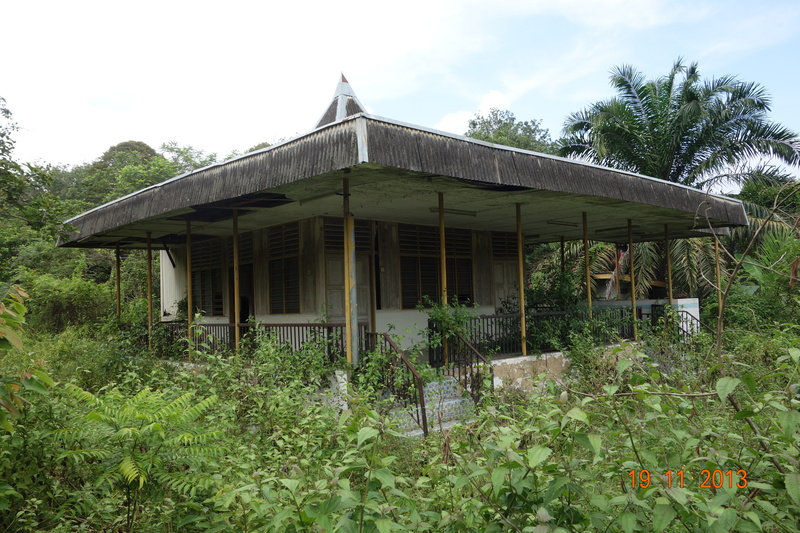 The original wooden house where Samad lived with his mother and step-father was also gone. In its place was a bright brick house belonging to his sister Sarah who lives in Jakarta. She uses it during her infrequent visits to Padang Sebang. As we drove to the village of Gadek, about seven kilometers away, Samad recalled the days he’d pedaled curry puffs made by his mother. They were delicious, he tells me. He would hit the road at six in the morning during weekends and school holidays and trudge seven kilometers all the way to Gadek. By mid-morning his basket of 50 curry puffs would be empty. His reward was two curry puffs per day but most days he would go hungry and sell them too. Soon he’d saved enough money to buy sweets from the village grocer at “bulk” price. He would pack them in little cellophane packets and sell them to his classmates. His secret enterprise grew steadily. But in his enthusiasm to improve his profit margin, the young entrepreneur took an uncalculated risk. He stumbled upon some money in a kitchen drawer, “borrowed” ten dollars and purchased a big bottle of sweets. 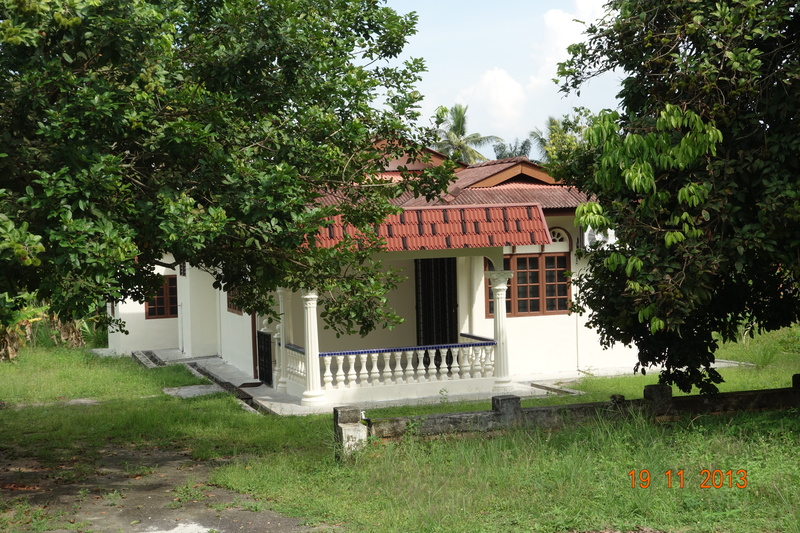 Before he was able to sell them and return the money, his mother discovered her loss, turned on her prime suspect, and marched him to his grandfather’s house located along Padang Sebang’s main road. His grandfather was a disciplinarian. He inflicted several strokes of the cane on the little “thief”, sat him on a bench beneath the guava tree in front of his house, tied him to it and left him there for several hours. It was not difficult for me to feel poor Samad’s pain and humiliation. We found no trace of his grandfather’s house nor of his prized guava tree. 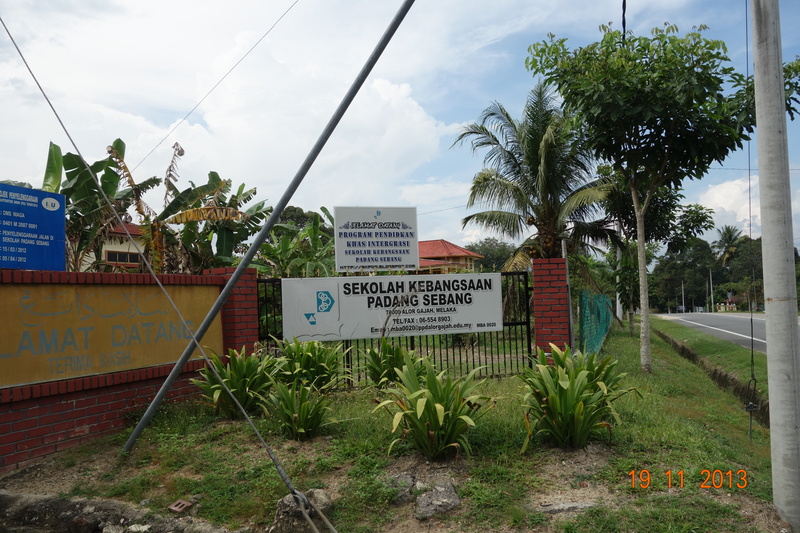 But the signboard of his first school, Sekolah Kebangsaan Padang Sebang was there, and some distance behind it, the school itself which had been rebuilt. 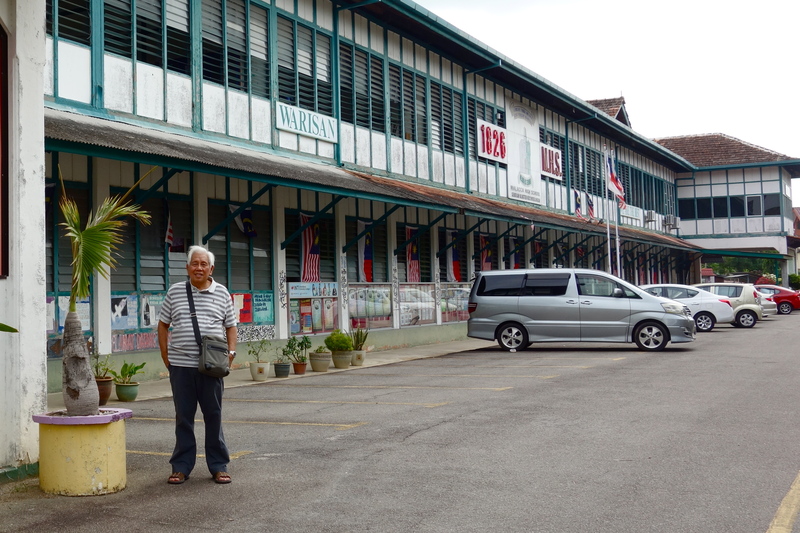 (The secondary school he attended, the MHS or Melaka High School, the second oldest school in Malaysia, was just as he remembered it. 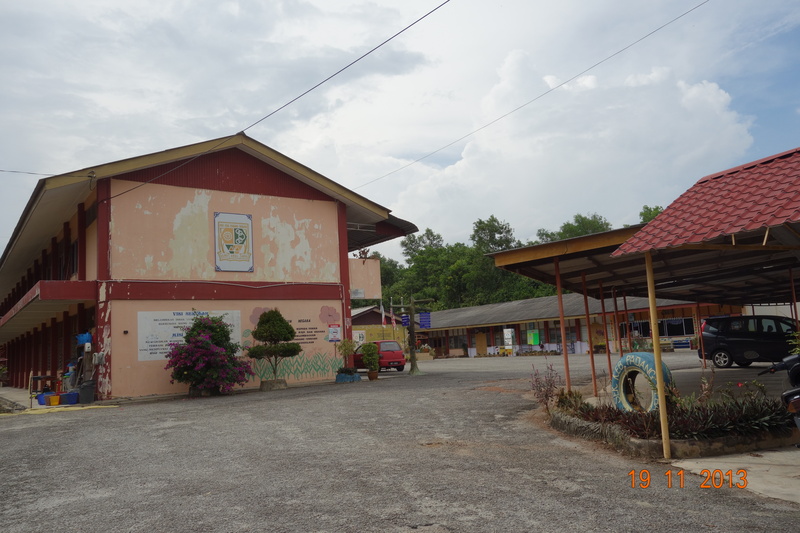 Malaysia’s oldest school is the Penang Free School). 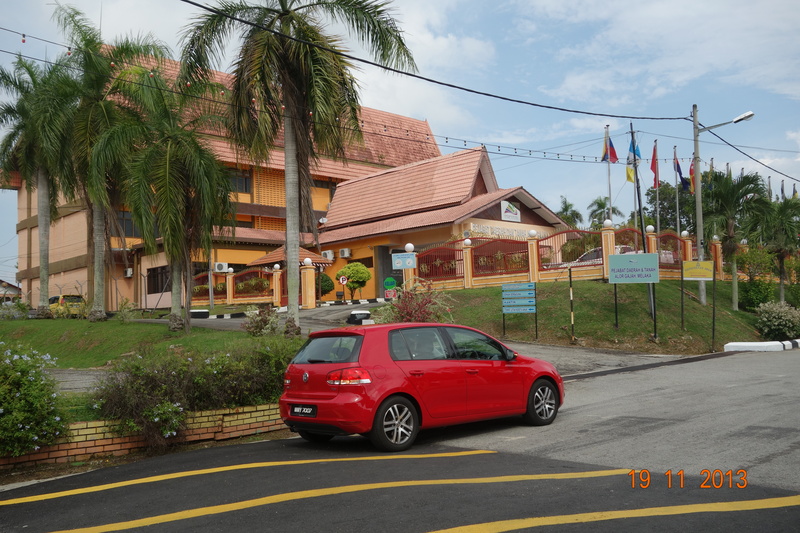 As we continued our leisurely drive around the area, Samad recalled the night he’d slept on the road with his friend Ariffin after their night prayers at the Surau. They were rudely awakened by the honking and bright lights of an approaching car which, thankfully, stopped just before reaching them. Hearts thumping, they leapt to the side of the road. The new District Office in Padang Sebang. Samad’s step-father worked in the old building. There was gentle, smiling Hassan, son of a wealthy Padang Sebang businessman, who took every opportunity he had to shower Samad and his friends with sweets, cakes and cookies. Hassan’s younger brother Ahmad was equally generous. When Samad turned ten, his years in Padang Sebang came to an abrupt end with the passing of his beloved mother. He left for faraway Jasin to start a new life with his father and a new family. 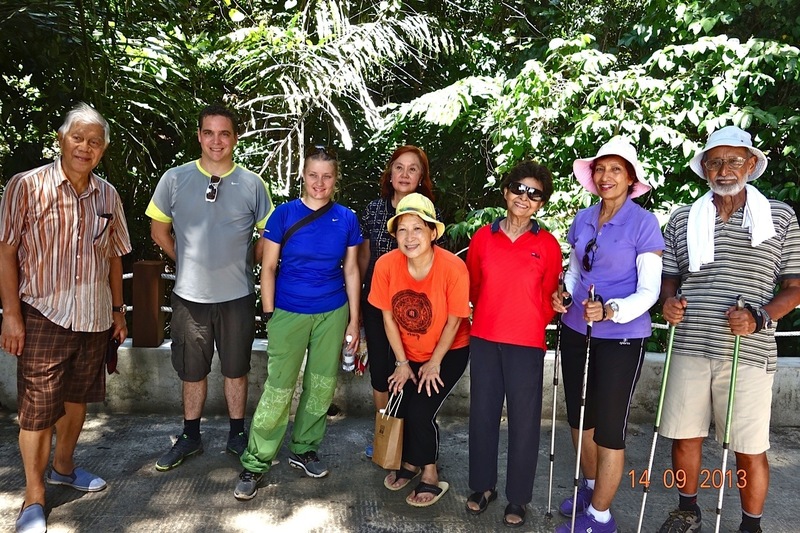 During my first visit to Gaya Island, which lies off Borneo in South East Asia, I had a brief, exhilarating encounter with the famed Borneo rain forest. The forest is said to be 130 million years old. Our guide rattled off other staggering numbers. Borneo, third largest island in the world, has 15,000 species of flowering plants, 3,000 species of trees, and many hundred species of birds and mammals. What we saw on Gaya was but a tiny slice of this stupendously rich forest. 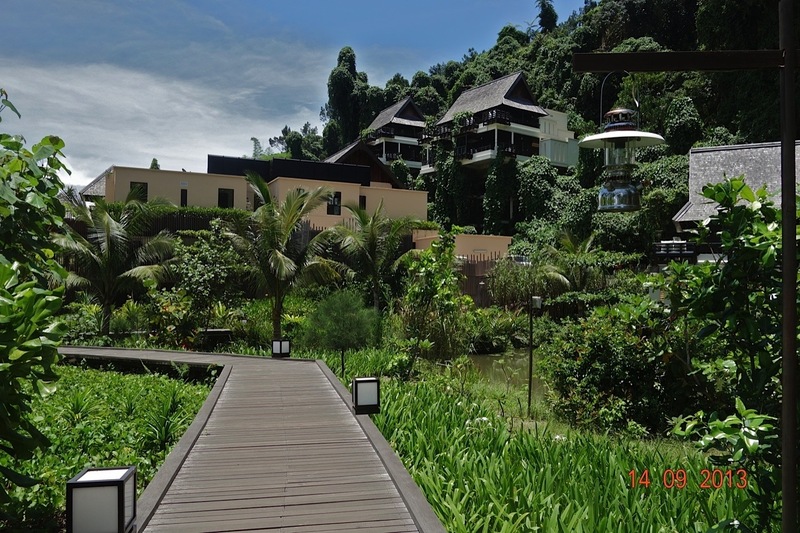 Our destination was YTL’s 5-star Gaya Island Resort or GIR. 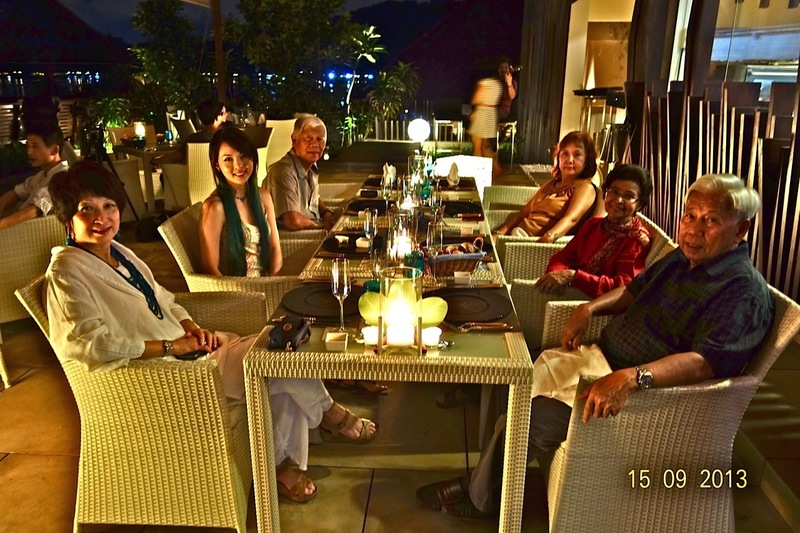 We were met on arrival, had our bags loaded onto a van, and twenty minutes later, arrived at GIR’s Reception Lounge at Sutera Harbour. And that was when Molly discovered she had someone else’s bag in her possession. The black bag resembled hers exactly, she said, but the tag, when we examined it, showed a stranger’s name scribbled in small letters. Molly was crestfallen, but the girl in charge of Reception instantly offered to drive her and Azzat, her husband, back to the airport. As we sat sipping our welcome drinks, Molly and her misplaced bag on our minds, the transfer speedboat arrived. We were advised to head for the Resort without her and Azzat. We sped along clear blue waters, KK town further and further behind us, passing many rows of floating huts belonging to the local fishermen. 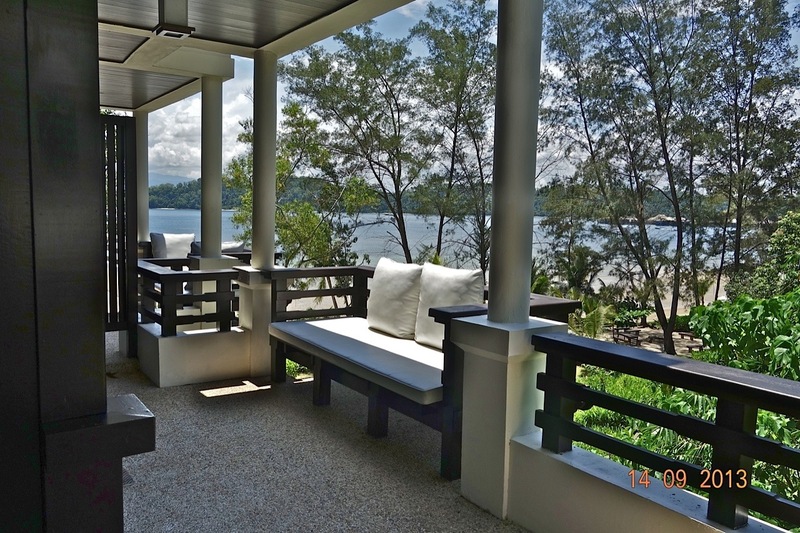 Fifteen minutes later we landed at the jetty, walked up the long wooden ramp and entered the Resort’s reception building, shaped like a Kadazan longhouse. 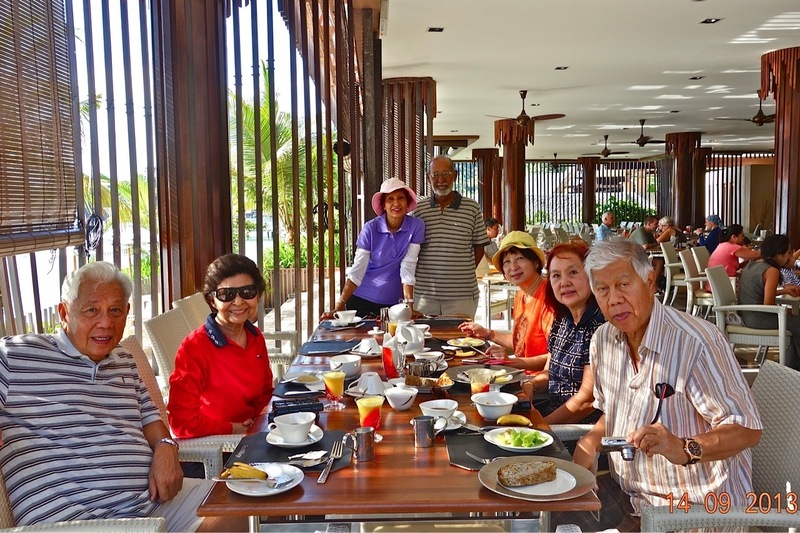 Resort Manager, Kirinjit and his staff warmly welcomed us. We were, after all, friends of Mrs J, organizer of our trip. She and her husband had been frequent guests at the Resort. 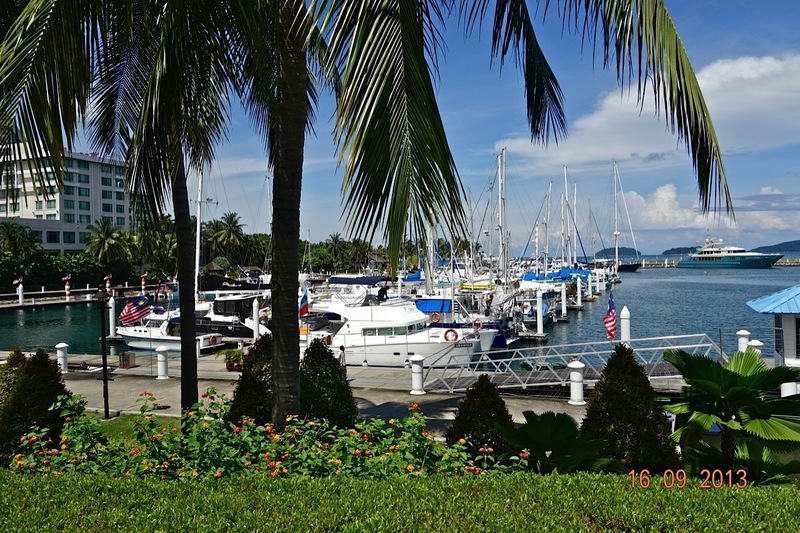 Also Kirinjit remembered we’d stayed at YTL’s Pangkor Island Resort when he was Manager there. When Molly arrived, bag retrieved, a smile on her face, we sat down to a big lunch before checking into our chalets. GIR, like other YTL Resorts, is luxuriously appointed and includes all the expected amenities, and more. The reception, dining and lounge areas are spacious and well laid out. A spiral staircase leads to the Fisherman’s Cove. We dined there by candlelight on our last night while the resident artiste sang, “Fly Me To The Moon”, “You’re Just Too Good To Be True”, and our other favourites of the 60’s. “Baby” Elaine, Regina’s daughter, hummed along with the singer. I was surprised she knew the songs until she admitted to being an ardent fan of Tony Bennett, the 80-something singer. So we have that in common, but certainly not diving, the passion that had brought her to Gaya. GIR’s 100 or so luxury chalets are built on terraced hill slopes and nestle among lush green trees. Our balcony offered a clear view of the sparkling sea below. 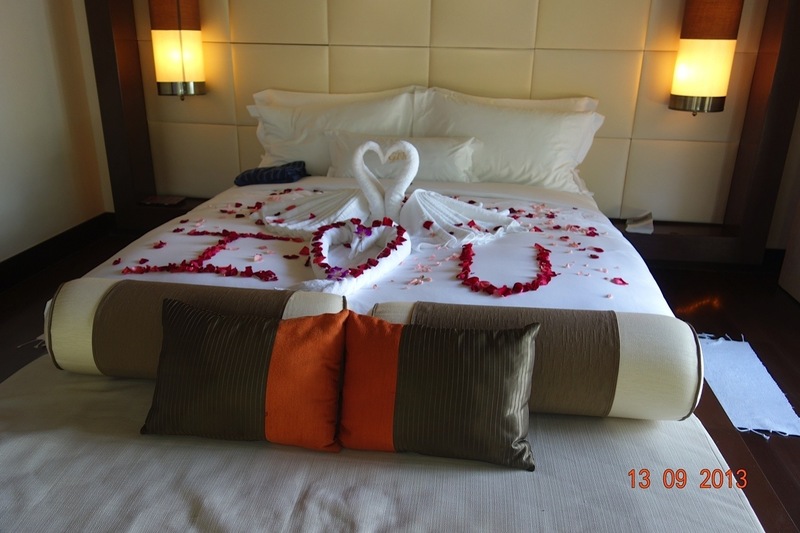 We opened our chalet door and faced a huge white bed strewn with fragrant rose petals. Two white swans fashioned out of bath towels rested against the pillows. A long corridor flanked by a table on one side and cupboards on the other, connected the bedroom with the Bali-style bathroom. I asked myself what had lured me to this island resort? I was essentially a land lubber, unlike Samad who swims laps in the Tropicana Olympic size pool. Molly and Azzat are great swimmers too. They have a pool in their home. I can’t swim, snorkel or dive. So how was I going to spend my time here? However, when we were taken to the lovely private beach at Tavajun Bay after lunch on our first day, while the others swam or snorkeled, I surprised myself by gingerly taking a little dip in the sea. After getting out of the water, we lounged about and watched a wild boar and her four baby boars who had come for a visit. Obviously looking for food. But what considerably saddened me was to see a very sick turtle that had almost choked on the plastic bags it had consumed. It lay weakly in the water tank at the Bay’s Marine Rescue Centre, hardly able to move. It was being carefully nursed by the people at the Centre and had recently started to eat small amounts of food. The high point of the trip for me was decidedly following Justin Juhun, resident naturalist, on the Nature Trail. What bliss to fill my lungs with the clean, fresh, fragrant air of the forest! And to be in close, personal contact with so many different kinds of vines, herbs and trees. (I saw my first young ebony tree, its thin, black trunk growing very straight and tall). And to marvel at the forest’s many treasures as they were revealed to us – a fabulous climbing vine, mushrooms of many shapes and shades, some so pale and delicate you immediately felt protective, a brilliant green lizard, a slithery black calamaria, stick insects, a docile green pit viper, and termite hills, big and little. Justin told me he’d spent many weeks slowly and carefully charting out the Nature Trail, taking enormous precaution not to tamper with, or destroy any precious plant, herb or tree, or animal or insect abode. He’d passed many nights alone in the forest, luxuriating, I have no doubt, in the slightest whisper, sound or movement he heard in the darkness. He also told me about the injured owl he’d been caring for. Its wings were sadly broken. We had a surprise lunch on our last day. Regina placed a special order of sea food and had the kitchen turn out aromatic fish soup, steaming siakap in soy sauce, succulent buttered prawns and delicately flavoured fried squid. That’s Regina for you, generous as always. All in all, I had to admit I’d had a great island holiday. I had thoroughly enjoyed the Nature Trail walk. It was fun watching the Kadazan dances at a beach party they put on for us. While my friends pampered themselves at the Resort’s Spa Village, I went for long walks on the beach. I did justice to all the good food we were served, particularly to the delicious molten lava desert which I couldn’t have enough of. I even enjoyed my brief dip in the sea. As I left Gaya, however, my mind went back to the wild boar and her young foraging for food at Tavajun Bay. To the sick turtle with the plastic rubbish in its guts. And to the owl with the broken wings. But I took comfort in the thought that they were all safe and being cared for by tender, loving hands.